Executive Director National Integrity Action (NIA) Professor Trevor Munroe. 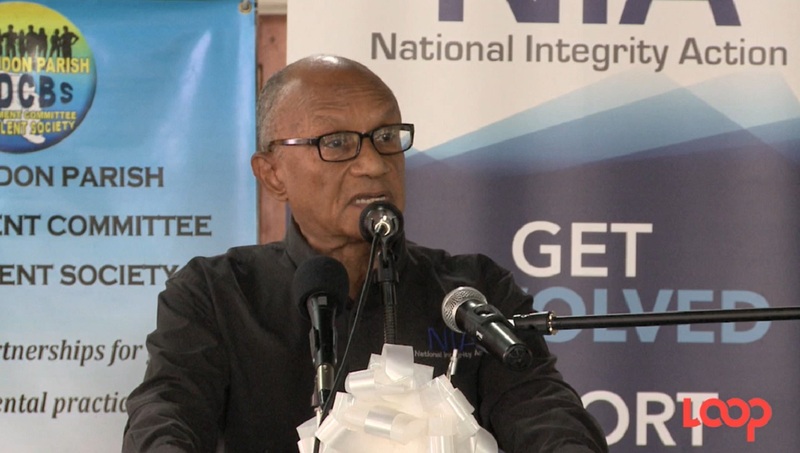 Executive Director National Integrity Action (NIA) Professor Trevor Munroe says the Jamaican economy could be between three and ten times its current size if crime and corruption were brought under control. Munroe said that would translate into a similar quantum of increase in personal income for Jamaicans in the public and private sectors. He there was “wide and clear consensus” over the mounting danger posed by corruption to order and prosperity, not only in Jamaica but across the hemisphere and internationally. Jamaica ranked as the 68th least corrupt nation out of 175 countries, according to the 2017 Corruption Perceptions Index reported by Transparency International. The nation averaged 72.44 from 1998 until 2017, reaching an all-time high of 99 in 2009 and a record low of 45 in 2002. Munroe was speaking at the annual Alumni Evening at the Jamaica Officers Club, Up Park Camp in Kingston. Watch the video for more on what Munroe had to say.